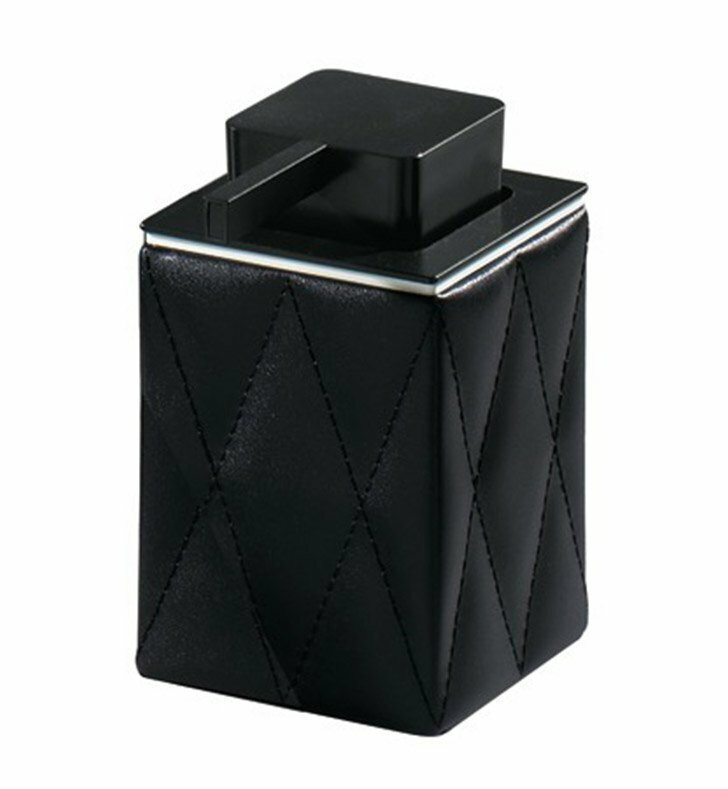 A lush free standing hand soap dispenser made in high quality leather and finished in black. This liquid dispenser from the Gedy Palace collection is a contemporary-style soap dispenser. Imported from and manufactured in Italy. Works well in your decorative master bath.